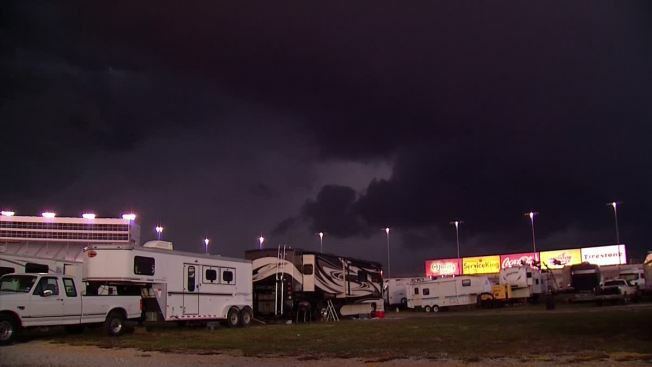 Heavy rain pounded Texas Motor Speedway Thursday afternoon, causing fans camping out in the infield to take cover. “It really came down hard,” said Randy Walser, a NASCAR fan from Midlothian. The speedway was hit with heavy rain and wind, but no tornado. 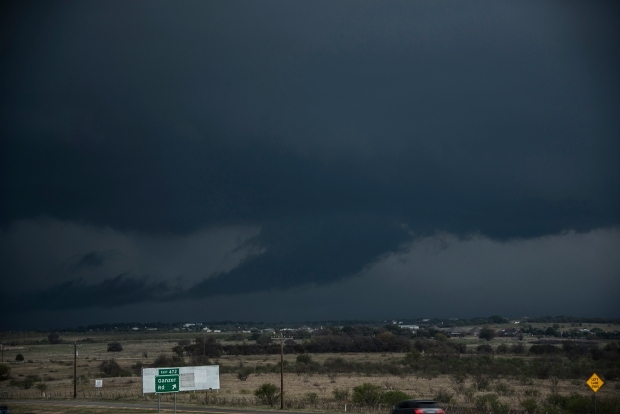 A giant, dark and ominous cloud was the first signal Texas Motor Speedway's safety plan might be needed. Earlier, sirens sounded as fans were asked to clear the grandstand. But much of the operation around the track continued as normal. Still, many fans weren’t taking any chances. The heavy rain lasted for about an hour before it passed through the area.